1954：Kamejiro Shimizu established a confectionery company named Shimizuseika and began making candies, together with Rikiomaru Matsuoka. 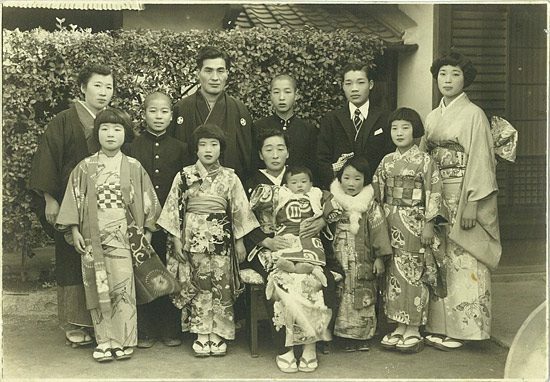 The tall man in Japanese clothes is Kamejiro Shimizu. The man to the right of him is Rikiomaru Matsuoka, the chairman of Matsuokaseika. 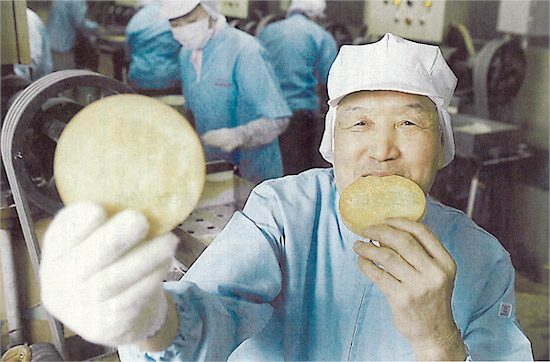 1958:Fusakichi Matsumoto gave them a recipe for making ponsen that had been created by students of a technical university in Kanagawa Prefecture, and then Shimizu and Matsuoka began making ponsen crackers. 1961:Then they asked Hirohiko Chiba, from Chiba Machinery, to make a ponsen manufacturing machine for them so that they could increase their production. The man wearing a hat is Hirohiko Chiba. 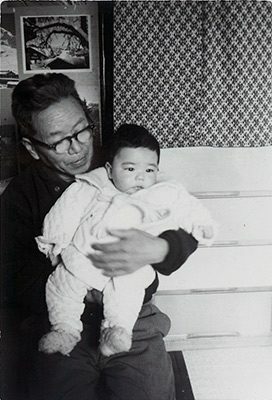 1962:Rikiomaru Matsuoka succeeded Kamejiro Shimizu’s manufacturing and sales business of a kind of ponsen, MANGETSUPON, and established Matsuokaseika. The person in the photo is Chairman Rikiomaru Matsuoka. 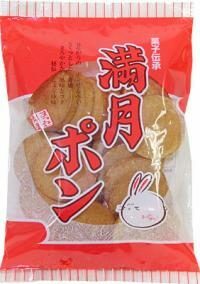 (traditional Japanese puffed cereal crackers). The savory aroma of soy sauce smells extremely tempting. Where does the name of “ponsen” come from? 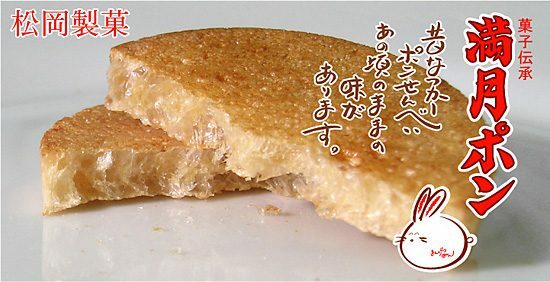 It comes from the popping sound that the Japanese approximate as “pon” when ponsen crackers are puffed up by pressure, just like another traditional Japanese puffed cereal snack, pongashi. No baking powder is used in making MANGETSUPON. They are made simply of flour, a tiny amount of water and salt, sugar, and soy sauce. MANGETSUPON are safe for anyone. The key to MANGETSUPON’s taste is soy sauce. A house blend of six types of soy sauce is used. This produces the characteristic flavor of old-fashioned, familiar ponsen crackers. The natural flavor of soy sauce is very good! Don’t you think the product name “MANGETSUPON” is casual, friendly, and very good?